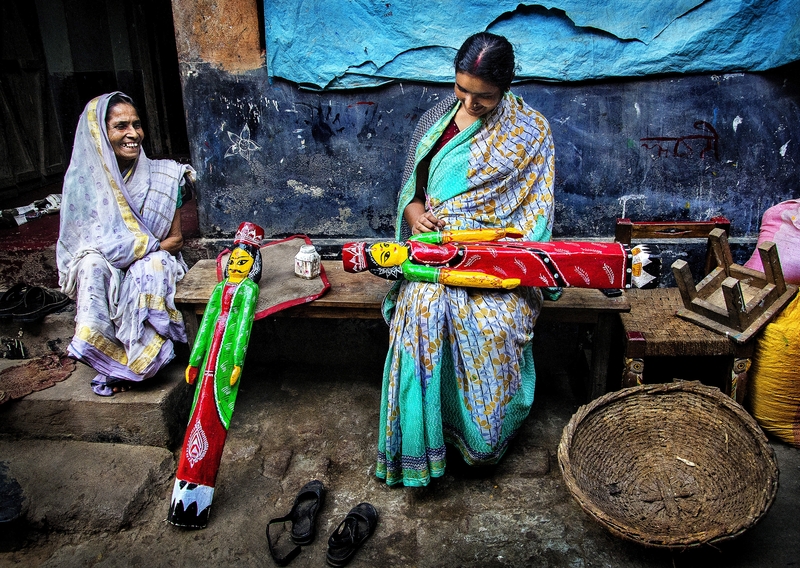 Wooden doll makers of Natugram,West Bengal,India, are known as 'Sutradhars' (narrator or story teller) . The carved out of a single piece of wood, these dolls from ancient folklore and mythology are characterised by their vibrant colour and ethnic style. The traditional doll making is carried out by generations from a long period. Government of West Bengal's Department of Micro Smaal and Medium Enterprises & Textiles, in association with UNESCO, has developed Natungram as one of the Rural Craft Hubs of the state.